In episode 309, Douglas Brown interviews Francesco Giarletta, Founder and Director at Avanite Limited. 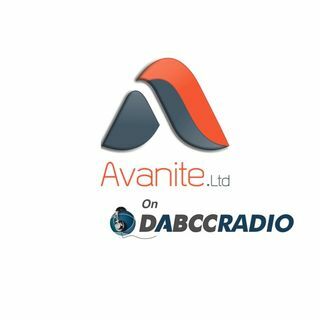 Francesco and Douglas discuss the Avanite WebData Control solution for controlling web cookies, privacy, security and more. Francesco explains why they built it, how it works, why we should care, and much more! This is one of those products that are a no-brainer for all environments and in the end you will save data, be more secure, control privacy and speed up login times! Use of the internet is growing every day with the adoption of cloud technologies and the move for many applications to become web based. Also the adoption of multiple devices on the home such as tablets and smart phones means the web browser is the most used application of many people. All this web access brings with it many problems facing business today. A great deal of data is generated from simply browsing a website, from data such as cookies which are downloaded to the computer, to the data generated by web browsers themselves. This data can be responsible for 85% of the size of a user profile and has shown to be the biggest contributor to extended login times. WebData Control has been developed with the enterprise in mind and is the only product available today to truly manage the problem of web data. Although much of this data is beneficial to both the user and the business, the majority of it is for the purpose of third parties who are collecting behavioural data for such purposes as targeted advertising, posing a threat to personal privacy and business security. Configured via Group Policy WebData Control allows the administrator to define what data is to be kept and what is to be removed. Users of WebData Control have reduced their profile storage requirements by 85% and have realised a reduction of login times but up to 90%. Avanite is a software house based in Warrington, UK. It was founded by Francesco Giarletta and Peter Jones who both have a comprehensive history in the field of virtual environments. With both of them having worked for AppSense, (now Ivanti), they recognised the importance of providing the best user experience. Whilst on a large desktop refresh project they came across a problem without a solution and developed version 1 of their flagship product, WebData Control. Although relatively young Avanite is considered the leader in the management of web data and has a growing global partner network and partnerships with other recognised vendors in the field of virtual computing such as Citrix and Ivanti. To this day the focus remains of helping business to have secure reliable computer systems which in turn makes for happier users. Francesco graduated from university with a Bachelors in Electronic engineering and a Masters degree in Computer Science. His first role was with a virtual reality company developing a virtual reality simulator for laparoscopic surgery, and virtual reality environments for companies such as Rolls Royce and Sainsbury’s supermarkets. His responsibilities included administration of the computer systems which developed an interest in systems administration and soon joined a consultancy company specialising in Microsoft and Citrix implementations. Choosing to focus on Citrix he progressed to leading a team of consultants responsible for the implementation of new virtual environments and surrounding products. In 2004 he joined AppSense (now Ivanti) as a pre-sales consultant, before taking on the creation and delivery of the certified training course, management of the support desk, and implementing the professional services and Technical relationship Manager offering. Today he is CEO of Avanite Limited, a company specialising in the management of data accrued whilst browsing the internet. In his spare time his passion is photography alongside trying to keep up with his two children.